Preparation of the right temperature of bath water to our precious kids is what always our goal whenever we gave them a quick or long bath. I ensure that I don't give them too hot nor too cold water in order to feel comfortable and enjoy being in the water while cleaning up. What could possibly be the right product for this? Of course, Ozeri have the great idea of solving this little problem and came up with an awesome Turtlemeter. It is safe and fun bath toy with built-in thermometer inside the turtle. The first time my son saw the product, he was ecstatic and thrilled to play the bath toy during his bath time. 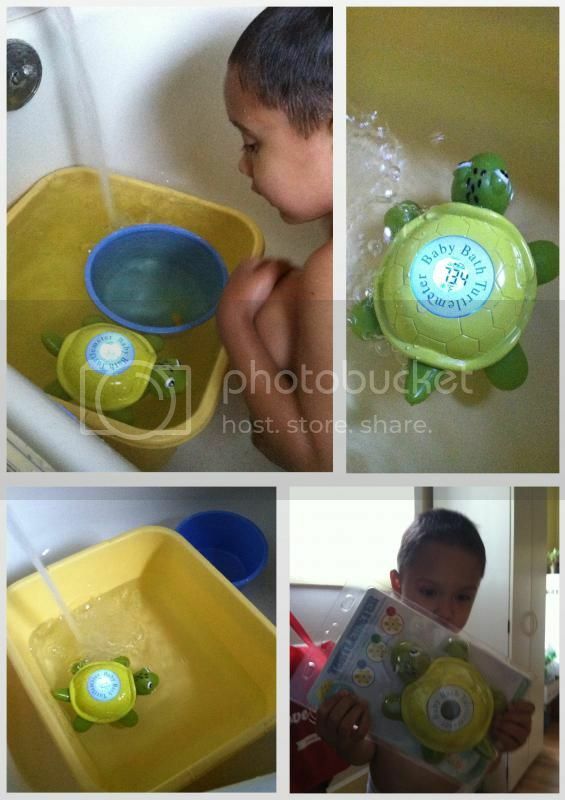 As a mother, I am also enthusiastic about how this turtlemeter work for me and my son, my son always loves to take a bath now without dragging him to the tube. The built-in thermometer is constantly displays water temperature when the turtle is always in the water, also changes in 3 different screen colors to determine each water temperature, which determine blue for too cold, green-just right and red is too hot. The product is sturdy, definitely great for kids also automatically turns off when the it's not in the water. It floats naturally, it's waterproof, I also love the sensor activated on it's meaning, no button or switches and ages appropriate for children too. It's best to read more information about the product with the booklet that comes with it. Overall, my familiarity with Ozeri's Turtlemeter is great, waterproof, bath and fun toy for kids, no age limit, have the easiest and safest way to determine the water temperature that we are giving them during bath time. Like the product? You can always find more of Ozeri's amazing and innovative product @ www.ozeri.com or you may find them on Facebook, see more of their new products in the market.